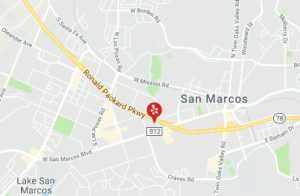 San Marcos Yoga is located just off Hwy. 78 at San Marcos Boulevard and Grand Avenue. It’s easy to get here from Escondido, Carlsbad, Vista and elsewhere throughout San Diego County. The San Marcos Yoga studio’s serene yet energetic setting is fully equipped with mats, blankets, straps, blocks and other props, including a specially designed rope wall. Classes are small with personal attention paid to each student and their ability level. 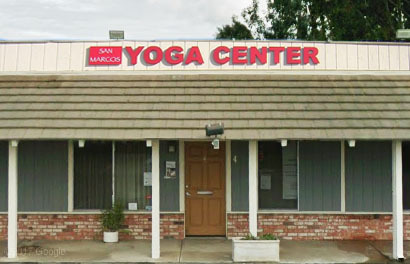 San Marcos Yoga provides all materials needed, from mats to straps to blocks and blankets. These props are used to assist all students to be in a pose with support, if needed. Safety is paramount in classes and students are never expected nor encouraged to attempt a pose beyond their ability. The official Iyengar Yoga Certification Mark assures you of a teacher well-trained in the art of teaching yoga. Our extensively trained teachers bring a new level of yoga instruction to San Marcos, and to all of Inland North County San Diego. The brilliance of yoga is found in its promise of good health, clarity of mind, and serenity of spirit; it is indeed the song in our hearts. Our classes blend enthusiasm, a bit of humor, and just the right dose of intensity for an energizing and profound yoga experience. 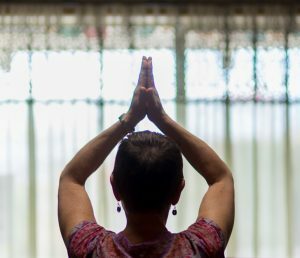 No matter your level of practice or physical fitness, you will learn skills to optimize your yoga practice with confidence, mindfulness and poise. The combination of extensive training, continuing education and dedication define SMY’s teachers! 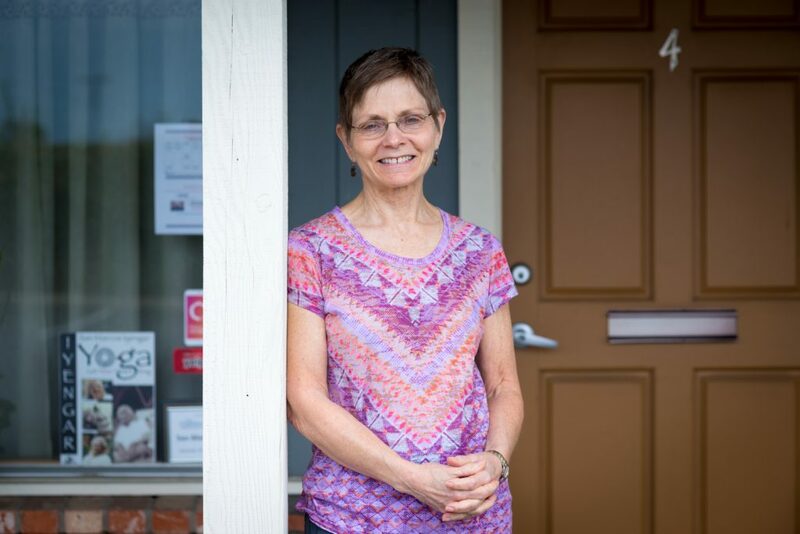 Kathleen is the owner/director of San Marcos Yoga. 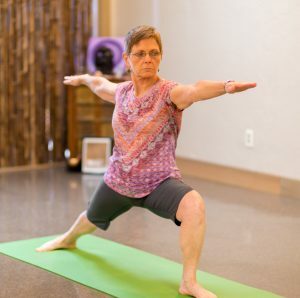 She took her first formal yoga class more than 30 years ago. She started practicing in earnest again in 1996 and began teaching in 2000. She completed the Iyengar Yoga three-year Teacher Training program in December of 2005. 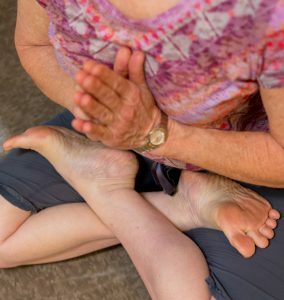 In 2007, Kathleen received her national/international teaching certification and degree from the IYNAUS Assessment Board, the certifying body for Iyengar Yoga teachers. In 2008 she was awarded a scholarship for study at RIMYI, the Iyengar Yoga Institute in Pune, India. She completed her sabbatical study in 2009. Kathleen continues to study with Senior Certified teachers Manouso Manos, Gloria Goldberg and Carolyn Belko. If you were to ask, she would say that opening and teaching in her own yoga center is the natural progression of things. It is without a doubt, the song in her heart!